I have been a practicing magician for over 22 years, with experience in wiccan, pagan, and ceremonial groups. I am currently the treasurer of an international fraternal organization and work as an independent financial advisor. I have always done my own taxes, and often assisted my family and friends with their returns as well. Eventually I decided to go to tax school and obtain my license to prepare tax returns professionally. 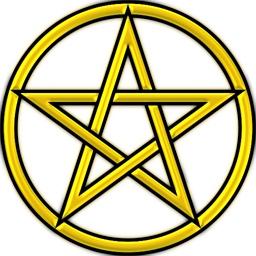 I have a mainstream tax business based in Orange County, California but I am now offering my services especially to those in the pagan and occult communities throughout the country. I earned an MBA and a Certificate in Financial Planning and Management for Nonprofit Organizations. I am a member of the California Tax Education Council and licensed as a Registered Tax Preparer, qualified to prepare tax returns and provide tax advice in all 50 states. My license requires annual continuing education in changes to tax laws, and a $5,000 bond for consumer protection. I am also registered with the IRS as a Paid Preparer and Electronic Return Originator authorized to submit returns via e-file. All clients’ personal and financial information is strictly confidential and kept off-line in encrypted storage, used only for preparing and filing tax returns as required by law.